Okay, folks, do you want to turn those fat and flabby expenses into a well-toned budget? Do you want to transform your sad and skinny little bank account into a bulked-up cash machine? Then get with the program, people. 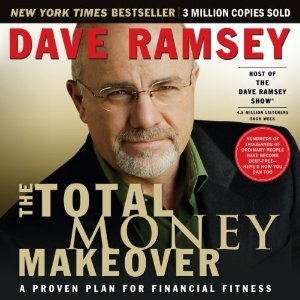 There’s one sure way to whip your finances into shape, and that’s with The Total Money Makeover. It’s the simplest, most straight-forward game plan for completely making over your money habits. And it’s based on results, not pie-in-the-sky fantasies. Where Financial Peace gave you the solid saving and investing principles, this book puts those principles into practice. You’ll be exercising your financial strength every day and quickly freeing yourself of worry, stress, and debt. And that’s a beautiful feeling.